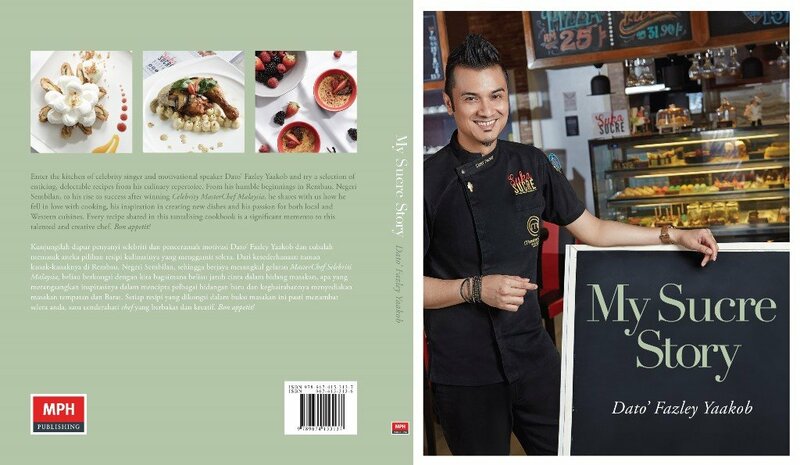 My Sucre Story, a Malaysian-French fusion cookbook by Malaysian celebrity chef Dato’ Fazley Yaakob, won the First Prize of the TV Outside Europe category at the Gourmand World Cookbook Awards 2016, Published in October last year, My Sucre Story is a bilingual cookbook that traces Dato’ Fazley’s journey from childhood to stints in Le Cordon Bleu in Malaysia and Paris, winning the first season of MasterChef Selebriti Malaysia and the opening of his own bistro and kitchen studio. Many of the recipes are unique—marrying both Malaysian traditions and French culinary techniques at his best knowledge. Founded in 1995, the Gourmand World Cookbook Awards honour the best food and wine books around the world, whether printed or digital. These awards are presented according to various regions and categories that are related to gastronomy. Founder and president of the awards, Edouard Cointreau, is also the founder and president of the Paris Cookbook Fair, and the president of the World Association of Food TV Producers. This year, publications from 103 countries were shortlisted for the awards’ 89 categories.